Next to step into the spotlight is the fantastic country of Croatia. While it’s still one of the lesser visited tourist spots in Europe, visitor numbers are on the increase every year as people discover this vibrant country. Croatia has put its troubled past behind it and is fully embracing its future. A future making the most of its incredible landscape, fantastic beaches and the surrounding water. Life on the water is popular in Croatia. Numerous boats leave harbours up and down the coastline each day to take in the surrounding islands or to simply to enjoy the crystal clear waters, wildlife and gorgeous views over Croatia’s mainland. Water sports are popular too. If you’re not leaping off a boat into the warm gentle waters of the Adriatic, you can hire jet skis, kayaks or motorboats to make the most of the surroundings. Always essential to know when planning and packing! The north western coast of Croatia, where the three campsites are enjoys a really pleasant climate. Temperatures sit around 22-26°c during June and August. Hotter than at home, but not so hot that it’s uncomfortable. Food in Croatia is a real talking point. Fresh seafood is available in abundance and the rest of the cuisine is heavily influenced by Italy. We’re talking heavenly gelato, fantastic pizzas and delicious pastries, and the best thing is, it’s usually at a fraction of the price of what you would pay in Italy. Croatian wines are less heard about than its European neighbours but they are definitely worth shouting about. Many have won awards over the last couple of years. Because of the relationship Croatia has with the water, you’re probably going to find yourself on a boat at some point. The whole of Croatia’s coastline is peppered with little islands and these are one of the main draws to the country. 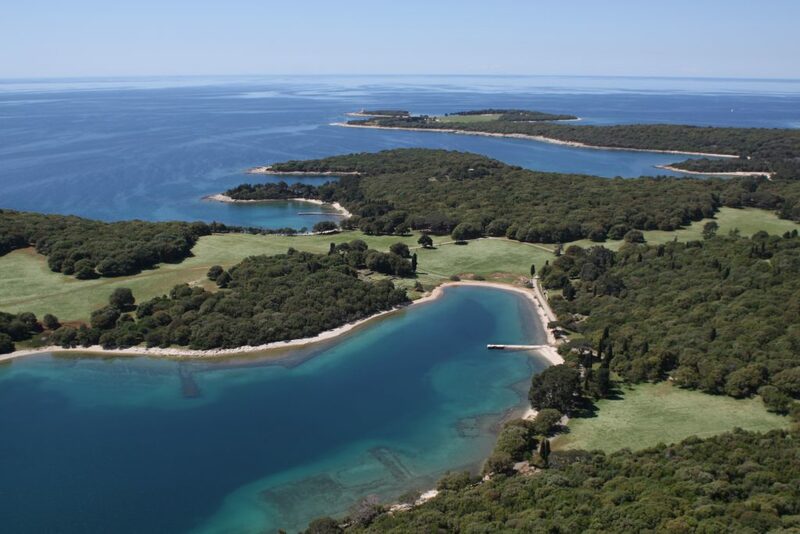 The closest islands to the Canvas sites are the Brijuni Islands – a collection of 14 islands that sit 6km off the coast. The biggest island Veli Brijun is the only island that can be visited. After WW1 the island was turned into a summer residence for Josip Broz Tito, the 1st President of Yugoslavia. It’s said that when famous people went to visit him they took exotic animals as gifts, and to this day they still live on the island in the island’s safari park. The beaches on the island are some of the best in Croatia and are fantastic spots for snorkelling. Boats leave for the Brijuni Islands from Fazana. Some islands on the eastern side of the peninsula are connected to the mainland by bridge and are almost entirely untouched. 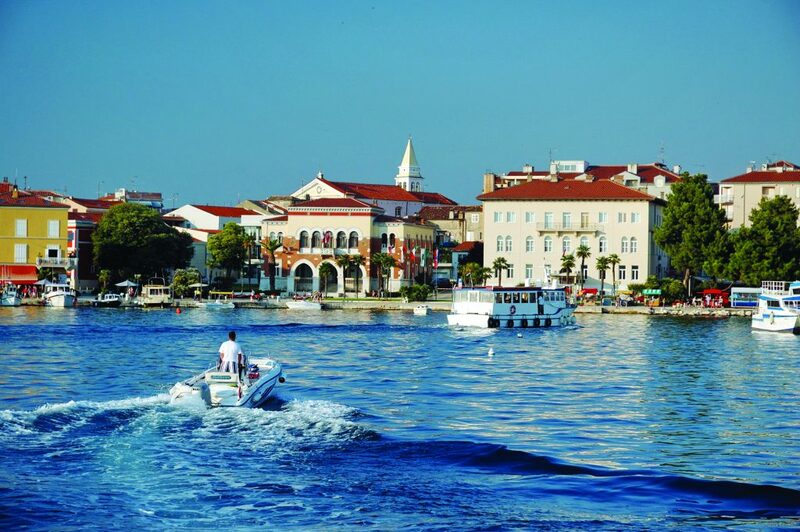 The Roman town of Poreč is a bustling centre in the summer months. The architecture is beautiful – a large mix of Gothic, Romanesque and Baroque, with the centre piece being the UNESCO listed 6th century Euphrasian Basilica. Pula is the capital of the Istrian region and is well known for its iconic amphitheatre and Roman architecture. After time wandering around the pretty streets and soaking up the atmosphere at one of the many pavement cafes, the long stretch of beach awaits. 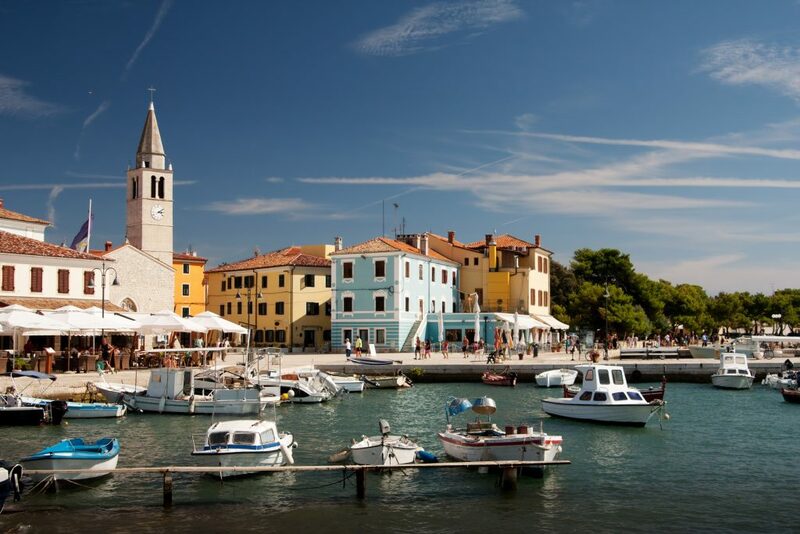 Rovinj is a beautiful fishing harbour that is still used every day by the local fisherman. In the town, the beautiful tower of St Euphemia stands tall over the coastline and is worth visiting. You can climb the tower to enjoy views over the peninsula. 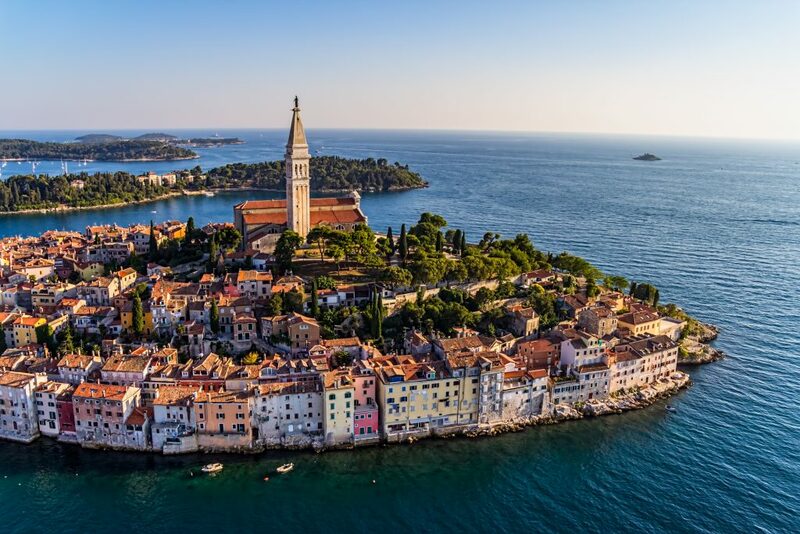 In the past we’ve had one campsite near Pula, but we’ve expanded in Croatia with two campsites close to Pula and Rovinj. Croatia is a place that needs to be discovered. Honestly, after one visit it’ll definitely be on your ‘places to return again’ list. Flying from the UK to Pula, takes around 2.5 hours and from Ireland just under 3 hours. It is possible to drive there and if you have the time it would be an incredible way of seeing Europe. Plan stopovers in France, Germany or Austria. I am off to Croatia at the end of the month, so your post is very timely! I’m going to be staying in Novigrad for a friend’s birthday.